This is our Bond Briefcase at 3 years old. Aside from a few volunteer gigs as a background cast in some Hollywood films, he's spent most of his days here in Sandast Studio. Here is another Bond Briefcase that was made last week. And so was this Bond. 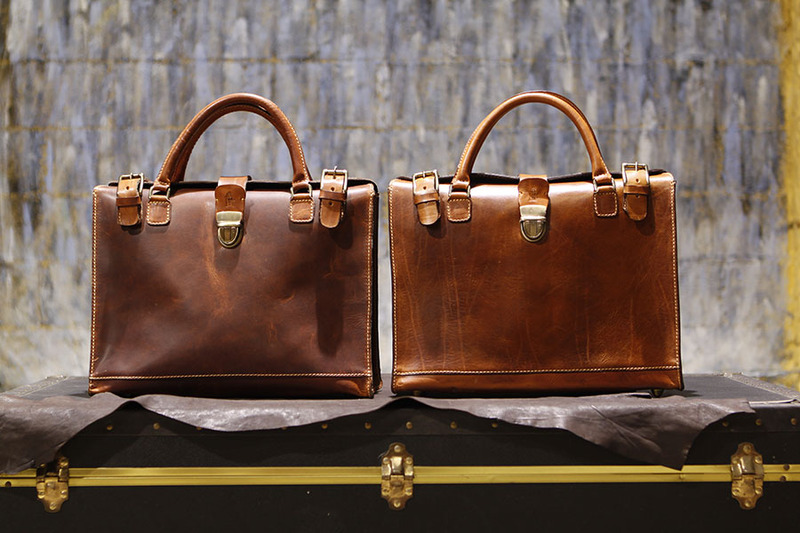 Both of these Bond Briefcases were created at the same time.. with the same leather & same materials. Yet, they look so different. One may ask Why? The difference is one was made conventionally, and the other was SANDASTed. 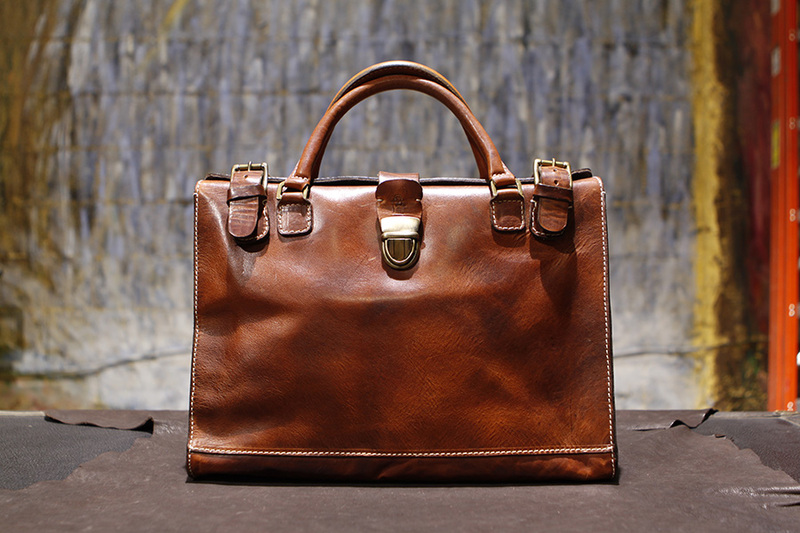 The majority of designer bags are made to maximize profits, they use a pattern on leather that is cut by laser and they are sewn together en masse. Viola, a mass-produced, high-margin, turn-and-burn bag; all the characteristics of fast food with a hefty fine dining price tag. As you know, at Sandast we do things differently. 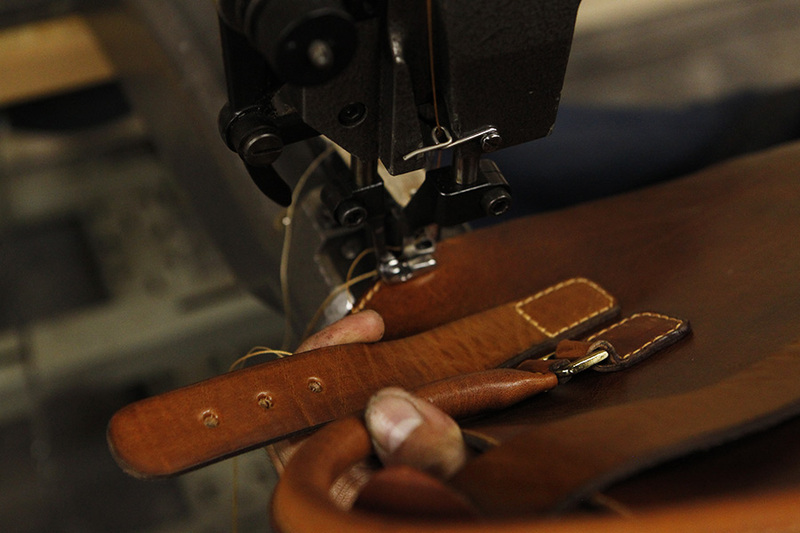 Here our leather is cut by hands. This leather will be the 3 sides of the Bond Briefcase. 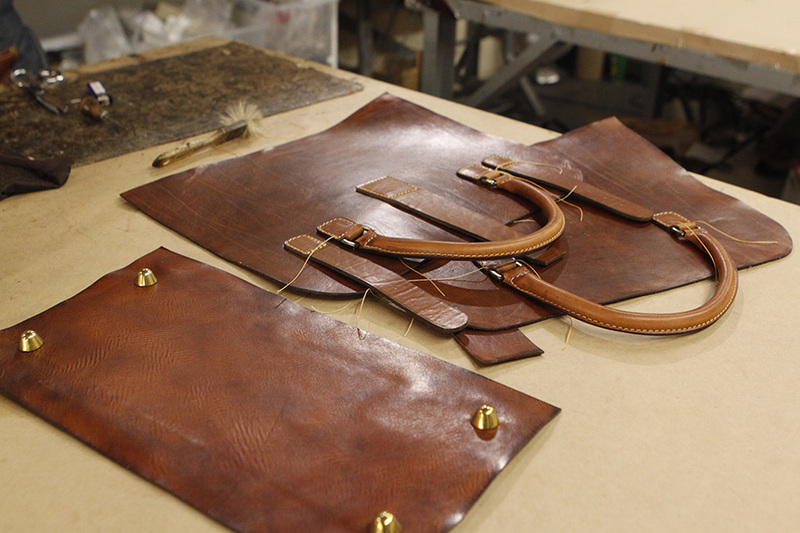 For Sandast, these are more than pieces of leather, this is our Canvas. 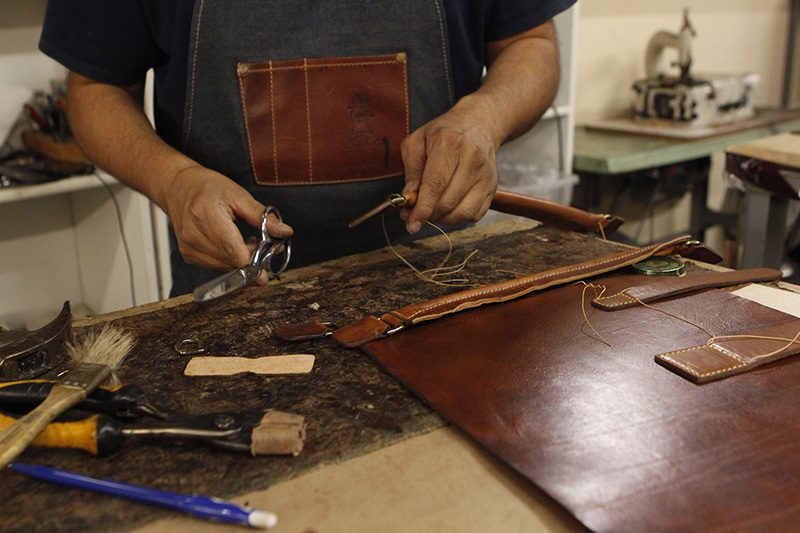 We begin to "paint" our canvas with leather distressing. It involves messaging, waxing, oiling, burnishing, and polishing and this process is repeated and applied to every single leather piece. We call it "SANDASTing"
Once all leather pieces are SANDASTed, they get paired with the best materials and assembled carefully and precisely.... with two hands. Once all leather pieces are SANDASTed, they get paired with the best materials and assembled carefully and precisely, with two hands. And after that process, a new Bond Briefcase is made. Can you tell which is Sandasted? SANDASTing is quite time consuming and someone asked me once why we are being so stubborn about making ours in this way. Well, we simply believe it just looks better in SANDAST way. Our Stubbornness in pursuit of Beauty is met with our pursuit of excellence in quality. The result? This is Vintage Done Right.